Are you a huge fan of Roller Derby? Do you love getting dressed up and showing the rest of the spectators how cheering should be done? 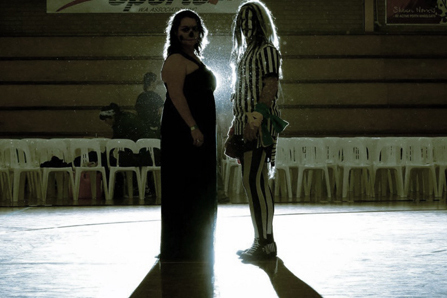 THEN YOU SHOULD JOIN OUR FEAR SQUAD, THE OFFICIAL FEARLEADERS OF PERTH ROLLER DERBY!